Google+ can be valuable to almost all businesses, but knowing the best way to achieve results from the social media platform is important. There are a few key points to keep in mind before jumping on and posting content. Our previous blog on Google+ showed that SEO is the main reason any business should be on it; the Google search engine likes people using their other services. As SEO (boosting your performance on relevant online searches) is your primary motivation, the words you use could make all the difference; think of what people are typing into Google and how that links with the services or products you provide. For example, if you offer insurance services, make sure to use those key words in your headers, footers and general content. Therefore, when people are searching for car insurance, you’re more likely to pop up on the first few pages. Keep in mind though not to spam keywords; it’s all well and good being at the top of Google search rankings, but if your content isn’t compelling, then your readers are going to be put off. You want to write so that the Google bots find you, but so that your readers are also engaged with what you have to say. 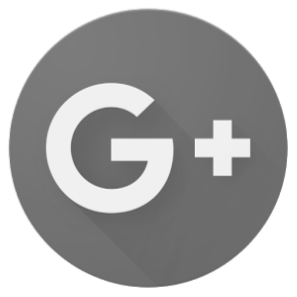 As with most social media platforms, the core purpose of Google+ is to link back to somewhere people can learn more about what you have to offer. Once people have found you on their Google searches, you’ll naturally want to lead them to your website. This has to be organic though, otherwise it just looks like a sales pitch. Instead of saying: ‘Buy my new product!’, say: ‘You can find out more about the benefits of our products and services here’. If people feel like where you’re directing them is beneficial to them, they are more likely to head where you’re pointing them. Another bonus feature Google+ has to offer your business is the ability to add key information. 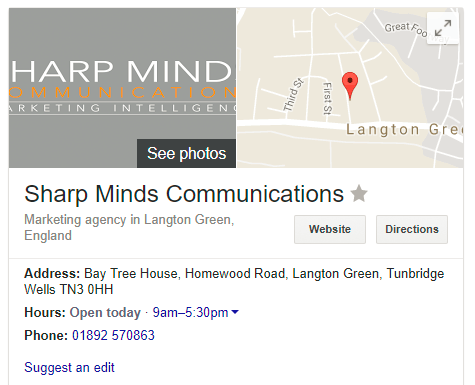 If you search a company name in Google search, you should see a card (on the right of the screen) with details about them, including address, open hours, a telephone number and reviews of their product or service. It’s obviously in your interests for people looking for your business to get this information summary, so make sure you put in the relevant details when you set up your profile. Comb over every detail as it can be frustrating for both you and the customer if you don’t put all the right information. Make sure to add your URL for your website so people can access that easily. Make sure your geolocator is in the right place so that clients and suppliers can use this for directions in Google maps. Publishing regularly on Google+ can really help push your business up relevant online searches. Making sure your posts and profile are relevant and engaging for potential customers will help you get the best returns from the time you invest in this platform.